NEW YORK TIMES BOOK REVIEW EDITORS' CHOICE. Named one of the Best Books of 2018 by The Boston Globe, Kirkus, and Lit Hub. Named a Fall Read by Buzzfeed, ELLE, TIME, Nylon, The Boston Globe, Vulture, Newsday, HuffPost, Bustle, The A.V. Club, The Millions, BUST, Reinfery29, Fast Company and MyDomaine. In 2015, Farrar, Straus and Giroux published A Manual for Cleaning Women, a posthumous story collection by a relatively unknown writer, to wild, widespread acclaim. It was a New York Times bestseller; the paper’s Book Review named it one of the Ten Best Books of 2015; and NPR, Time, Entertainment Weekly, The Guardian, The Washington Post, the Chicago Tribune, and other outlets gave the book rave reviews. The book’s author, Lucia Berlin, earned comparisons to Raymond Carver, Grace Paley, Alice Munro, and Anton Chekhov. 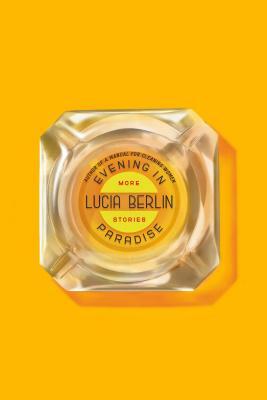 Evening in Paradise is a careful selection from Berlin’s remaining stories—twenty-two gems that showcase the gritty glamour that made readers fall in love with her. From Texas to Chile, Mexico to New York City, Berlin finds beauty in the darkest places and darkness in the seemingly pristine. Evening in Paradise is an essential piece of Berlin’s oeuvre, a jewel-box follow-up for new and old fans.